NEW FOR THE SPRING 2019 SEASON! Delaware FC Hockessin is partnering with Soccer Shots for our TinyMites program. Soccer Shots is US Youth Soccer's approved solution for meeting the needs of its members, such as Delaware FC Hockessin, with a high-quality 3 year old program. Soccer Shots is a national organization with local franchises throughout the country. Many youth soccer clubs throughout the country partner with Soccer Shots as its program provider for children between the ages of 2-5 years old. 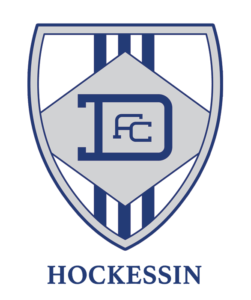 Delaware FC Hockessin is the first club in the state to partner with Soccer Shots. It is the parents responsibility to have their child on the field and ready for practice. TinyMites are required to register online via a portal on our website which will direct to the local Soccer Shots registration page. There will be two available session times - Thursday late afternoon and Saturday afternoon. It is an 8-week program and participants must have shin guards, soccer socks and a size 3 soccer ball. Participants will be given a t-shirt to wear to each session. NO JEWELRY, no hard hair barrettes, no toe cleats, no casts. Soccer cleats are recommended but not required. Delaware FC Hockessin Soccer Logo T-Shirt provided by the club.